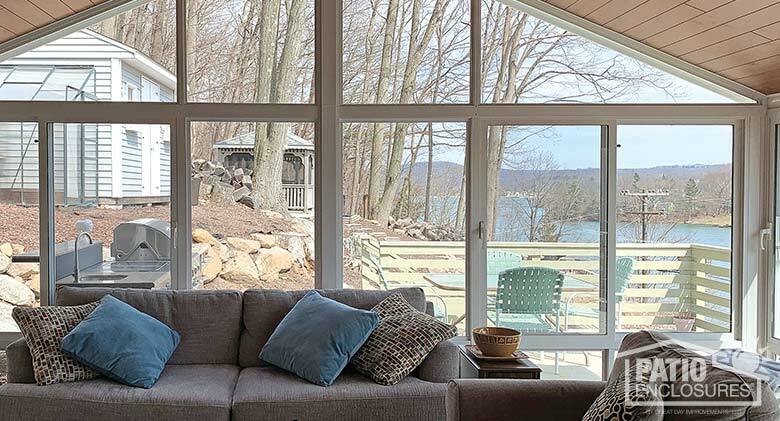 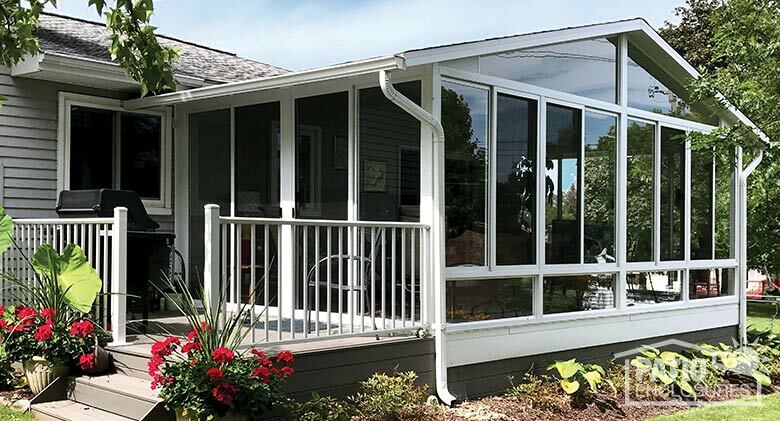 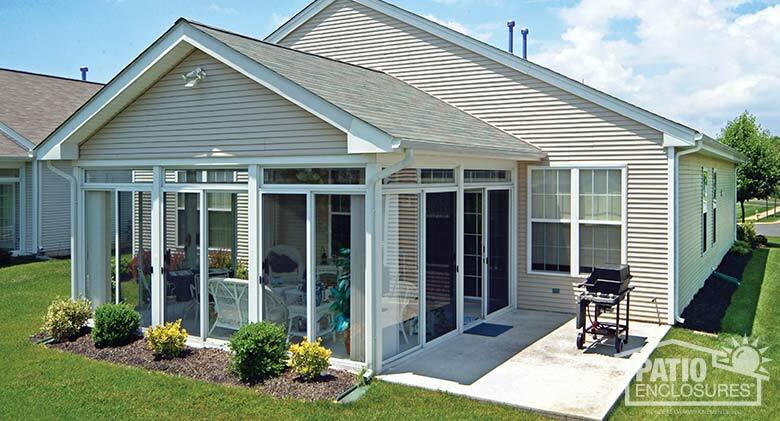 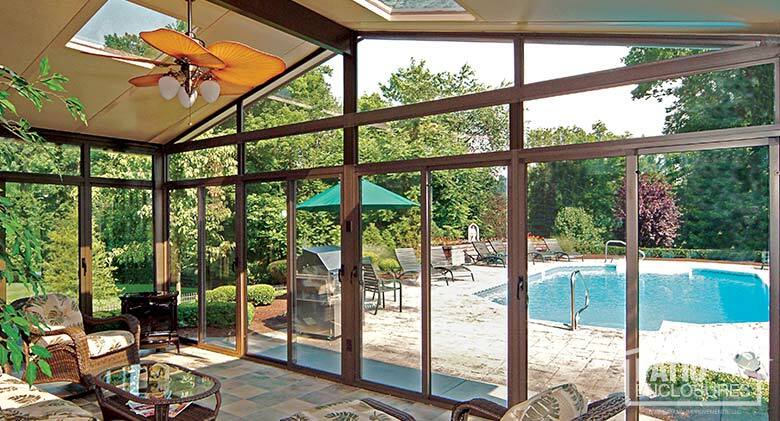 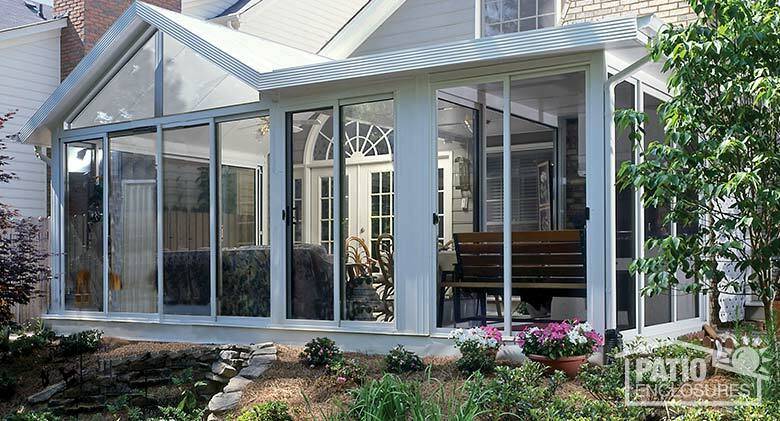 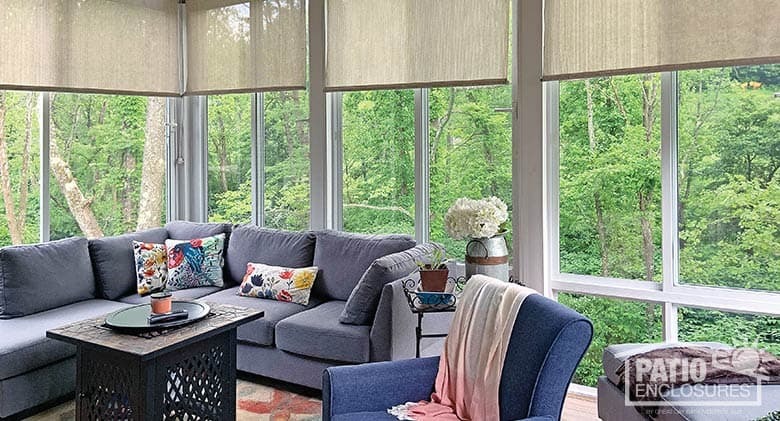 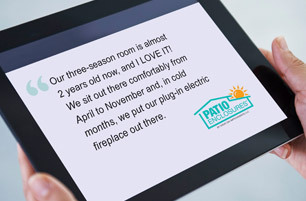 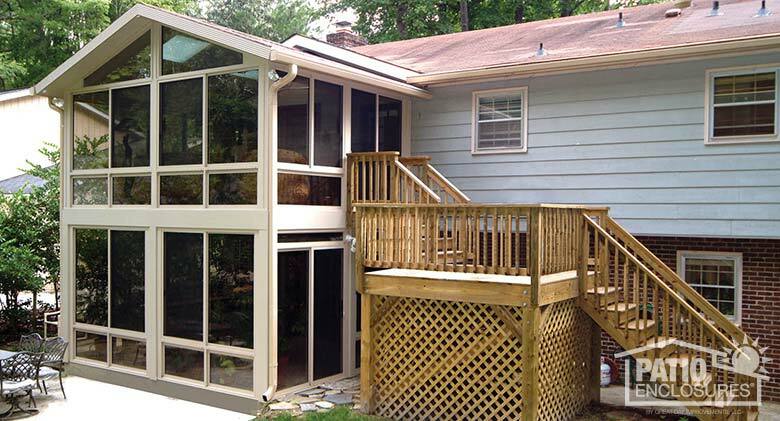 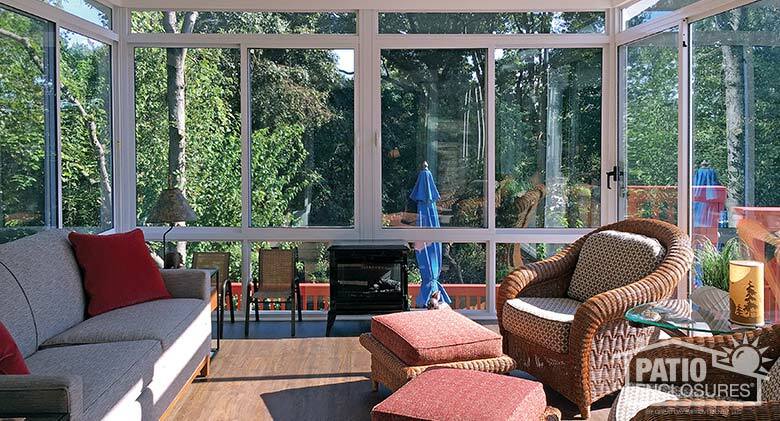 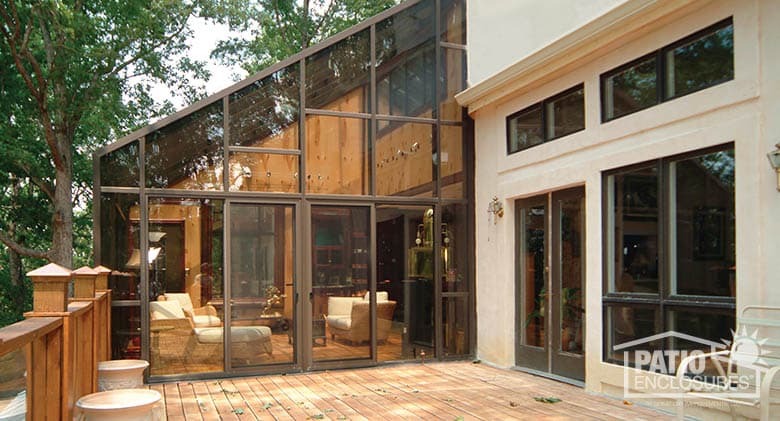 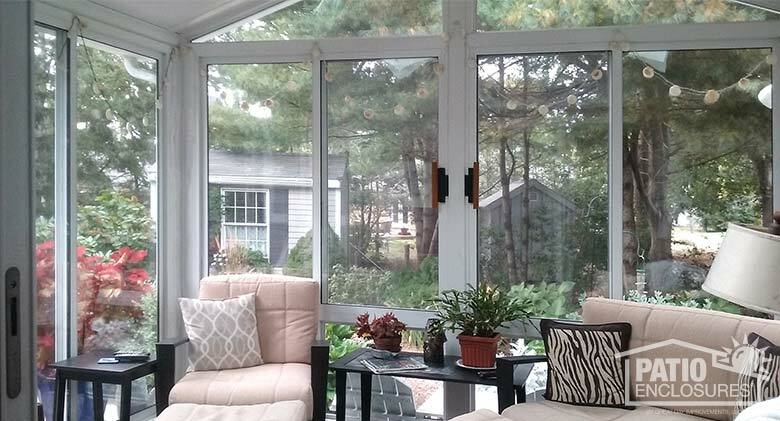 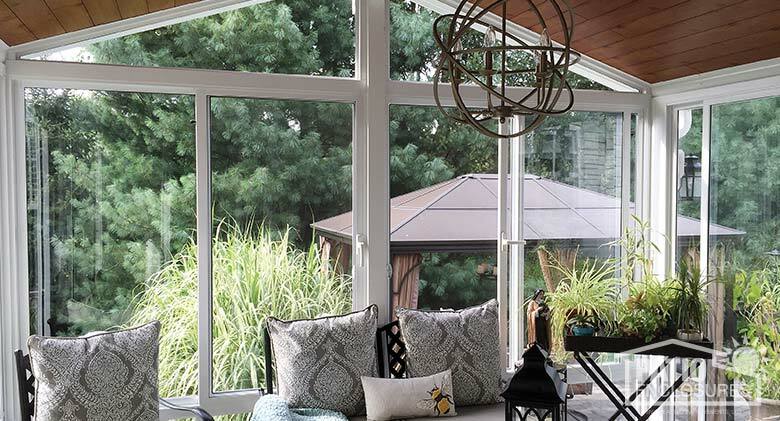 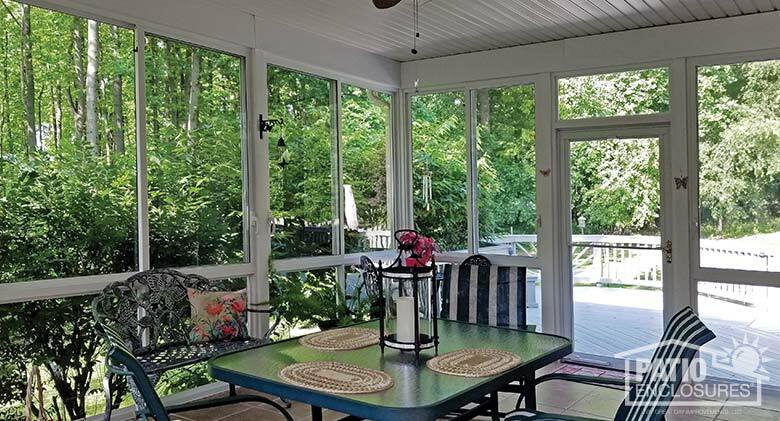 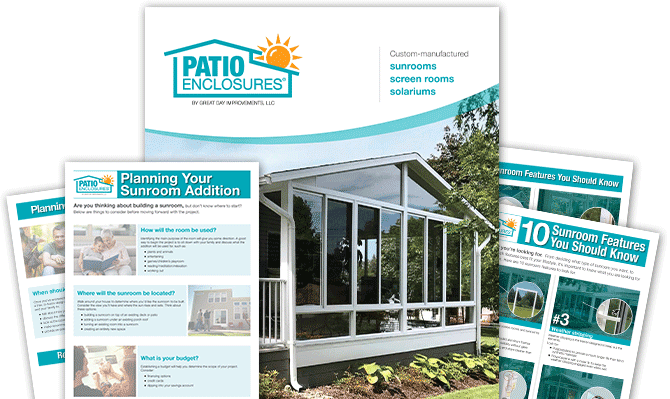 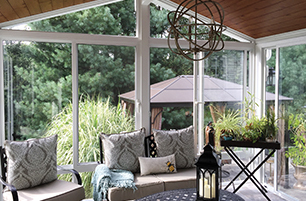 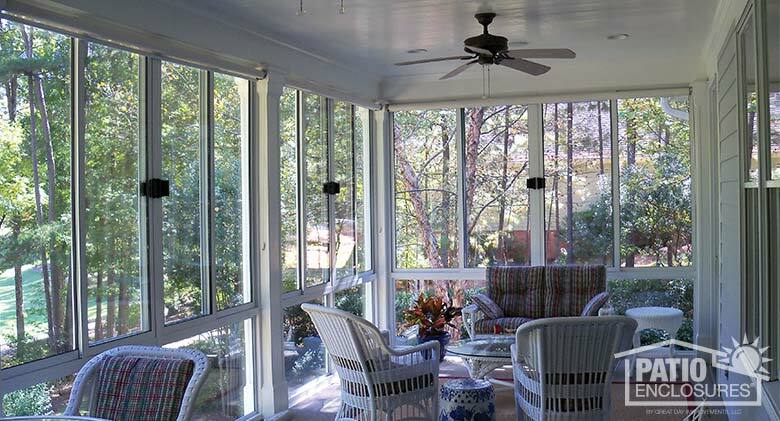 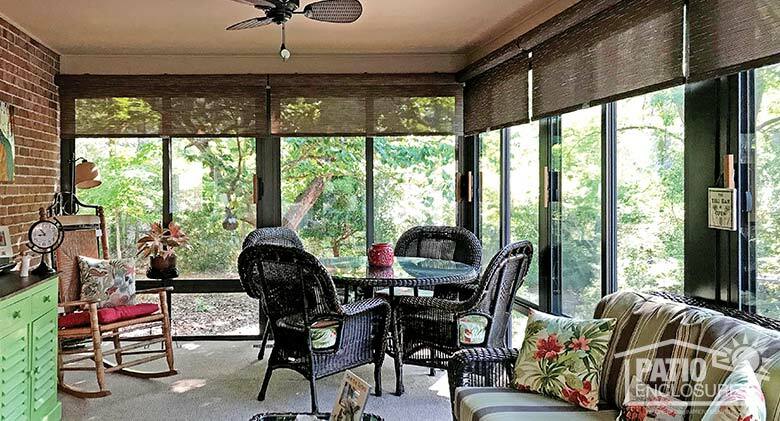 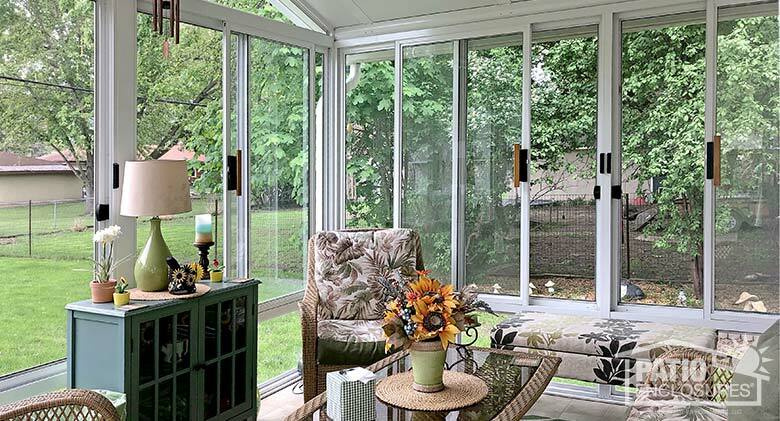 ​Extend the seasons, relax and enjoy the outdoors everyday in the comfort of your home with a Patio Enclosures Aluminum Sunroom. 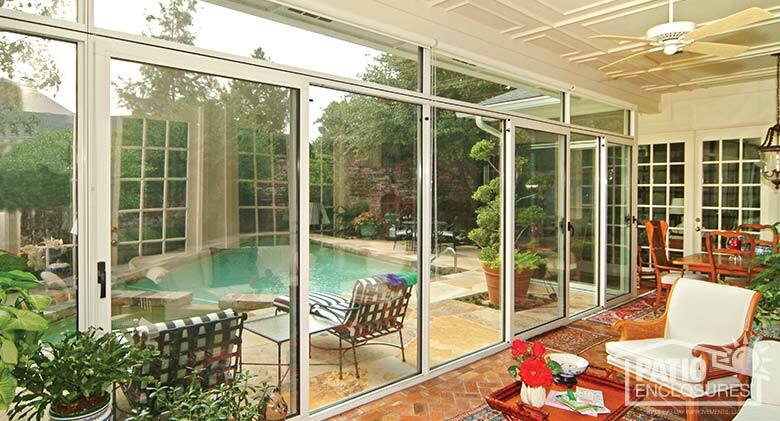 Aluminum is one of the strongest materials available. 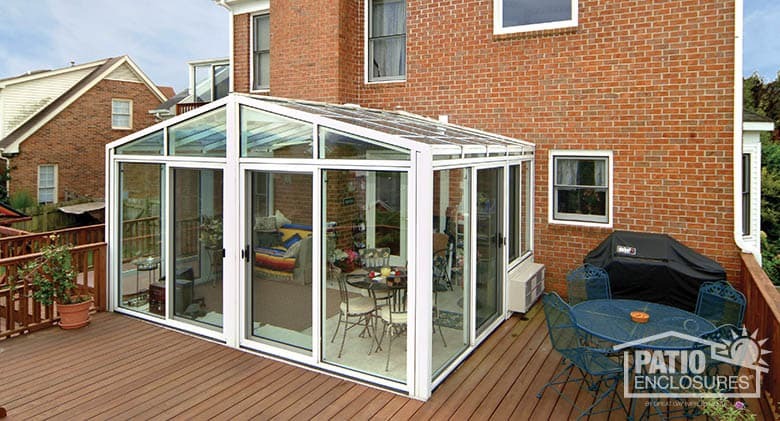 It is resistant to temperature and humidity, providing years of reliable use. 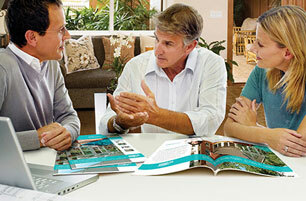 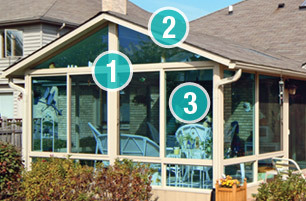 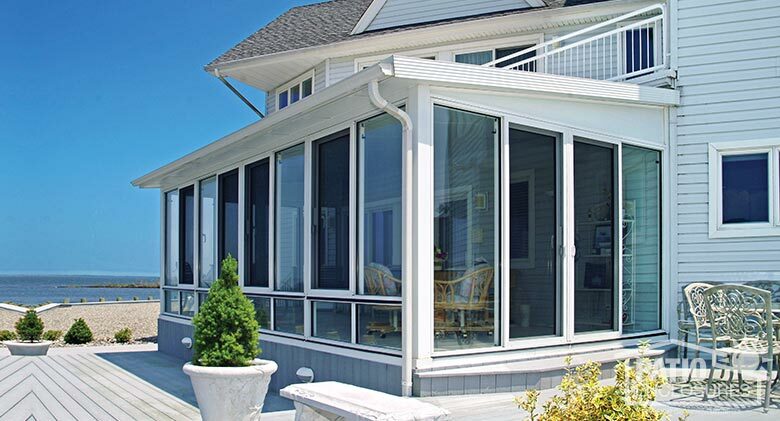 Three Season Sunroom Sandstone aluminum frame with light blue tint glass. 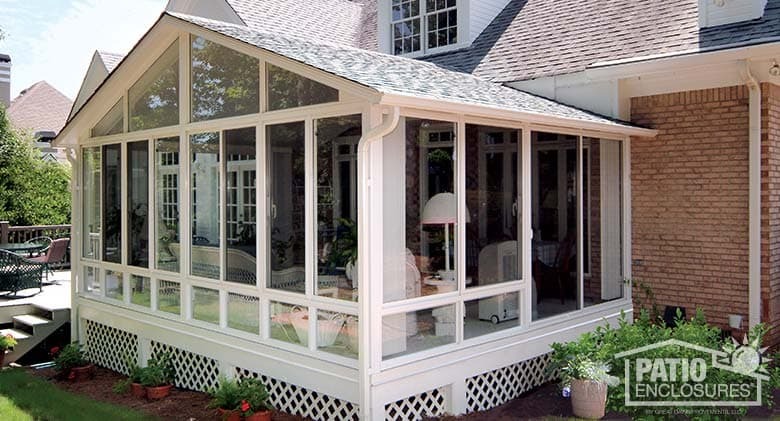 Three Season Sunroom Sandstone aluminum frame with gable roof and glass roof panels. 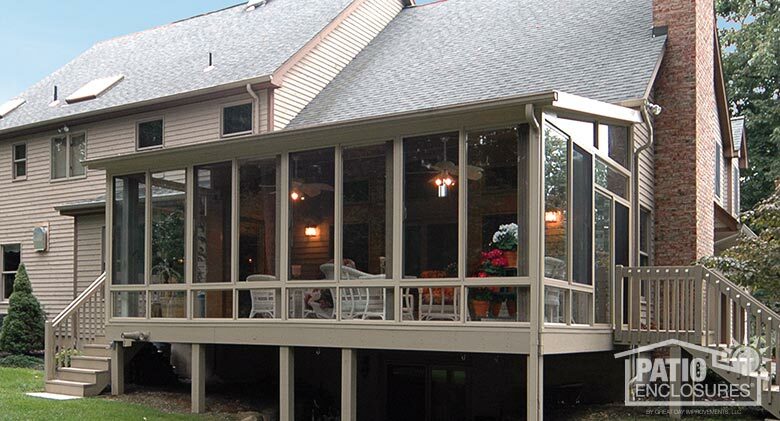 Three Season Sunroom Bronze aluminum frame with custom wood gable roof and glass wings. 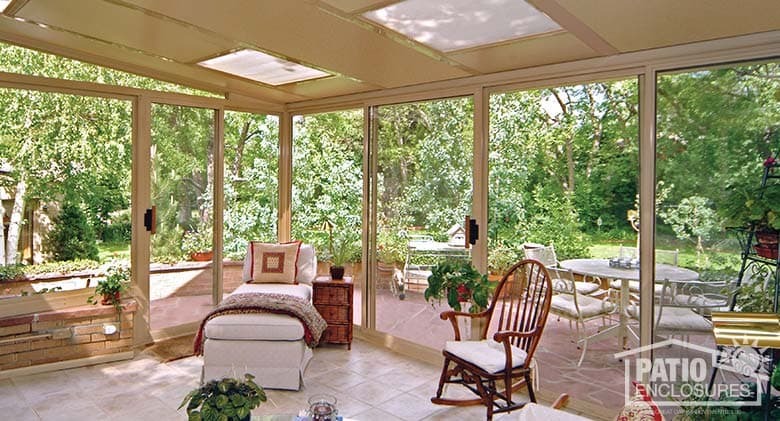 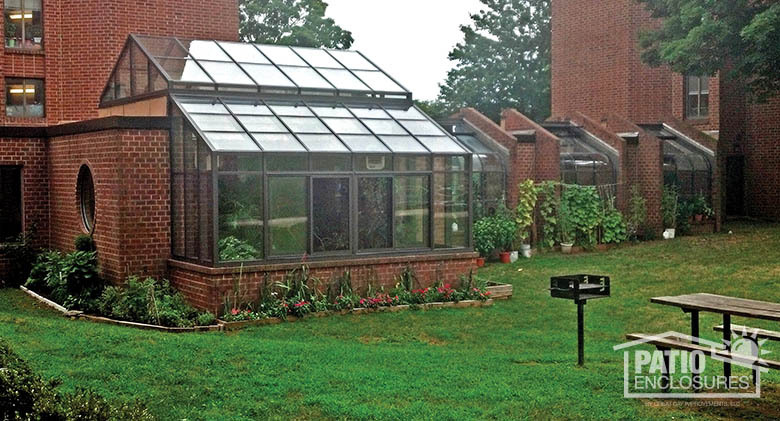 Three Season Sunroom Sandstone aluminum frame with glass roof panels. 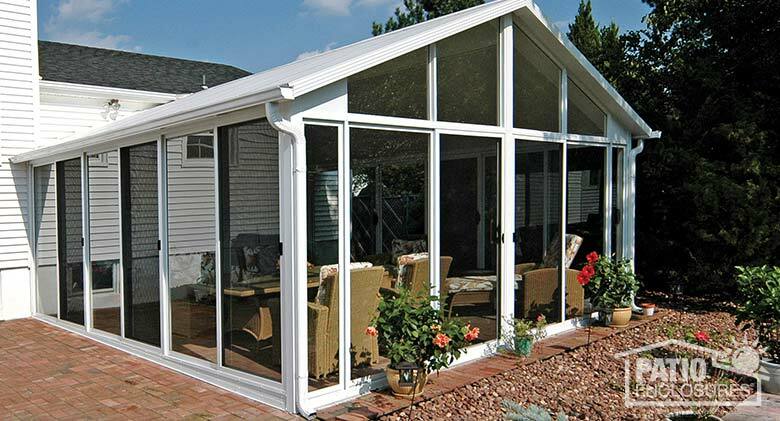 Three Season Sunroom Sandstone aluminum frame with single-slope roof. 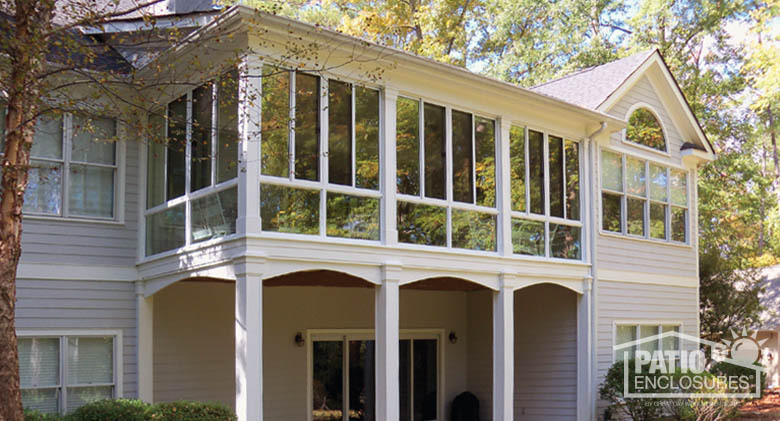 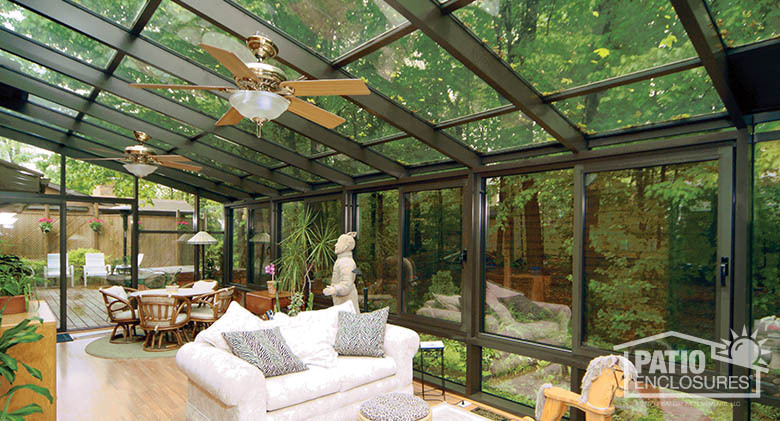 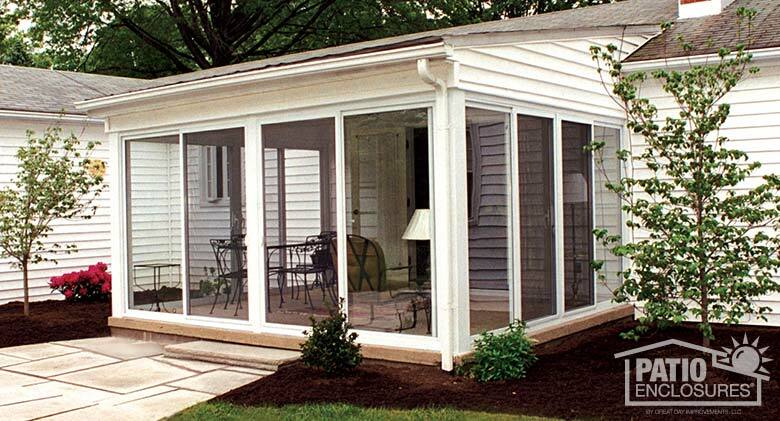 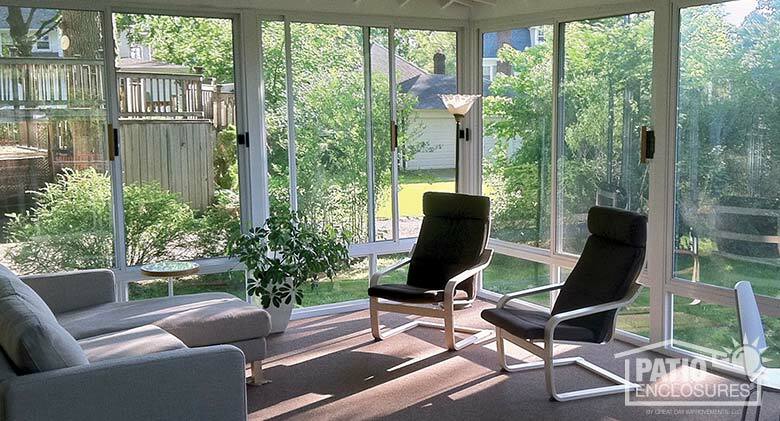 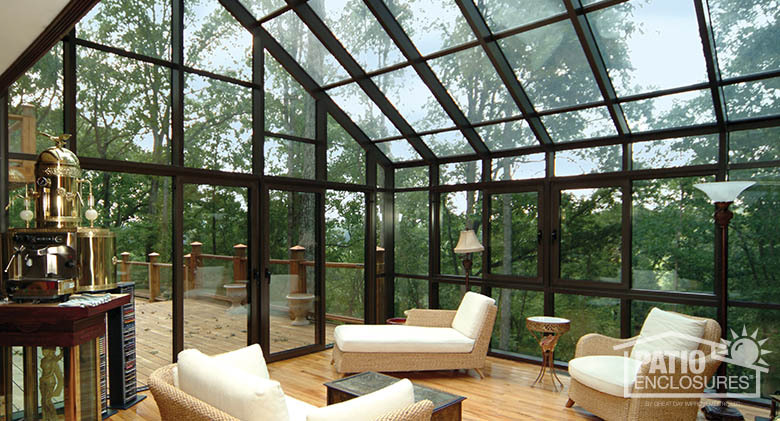 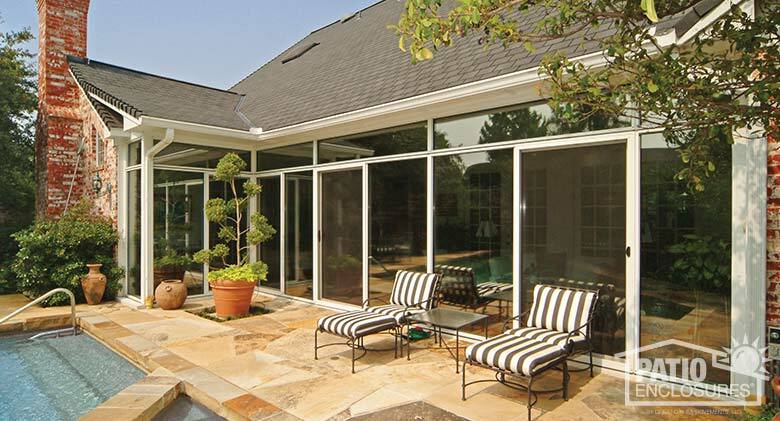 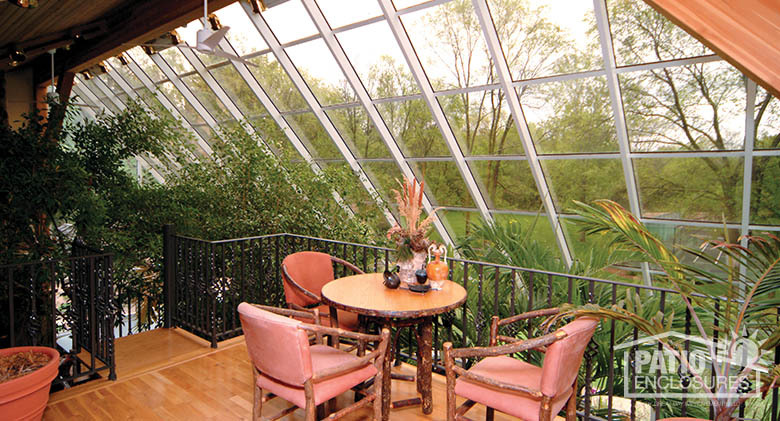 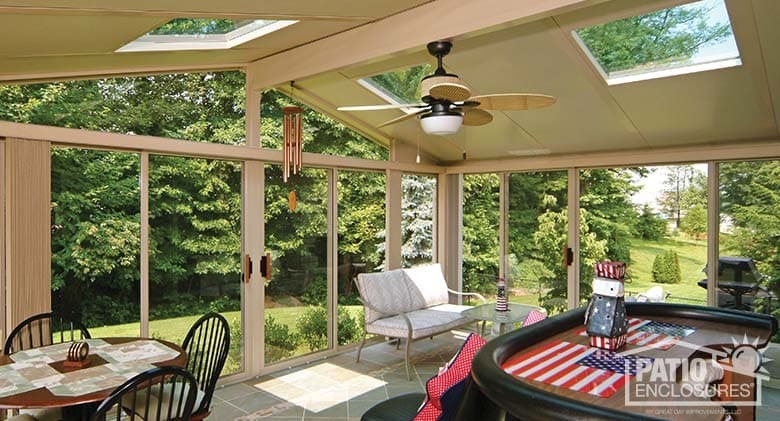 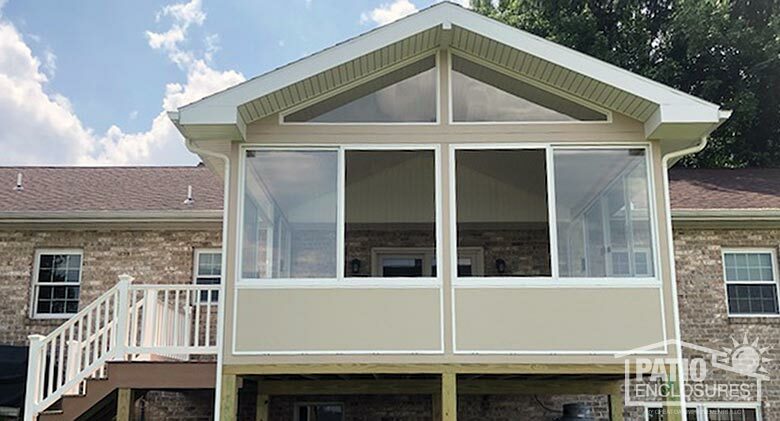 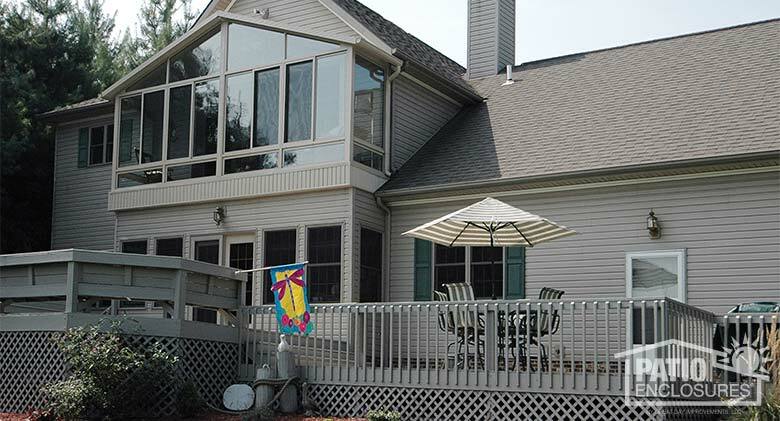 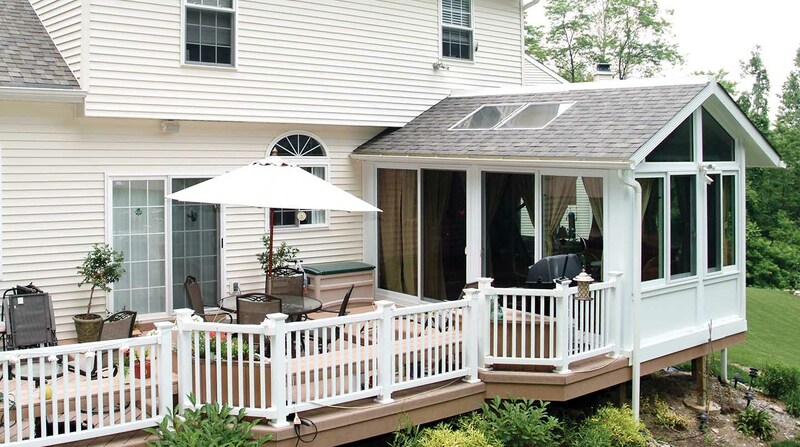 Three Season Sunroom White aluminum frame with single-slope roof and glass roof panels. 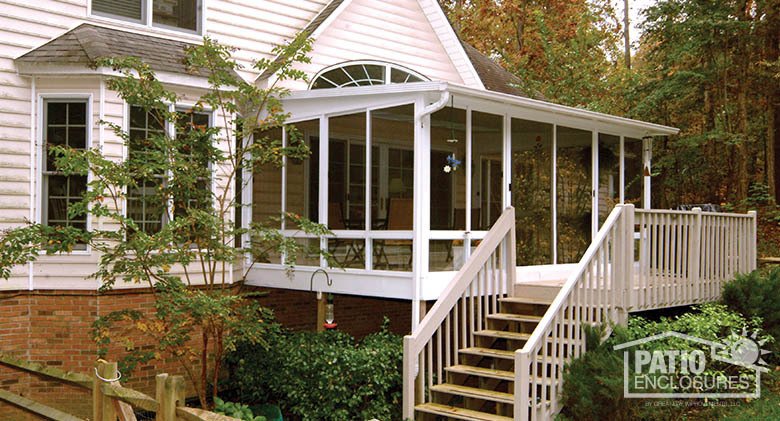 Three Season Sunroom White aluminum frame with gable, shingled roof. 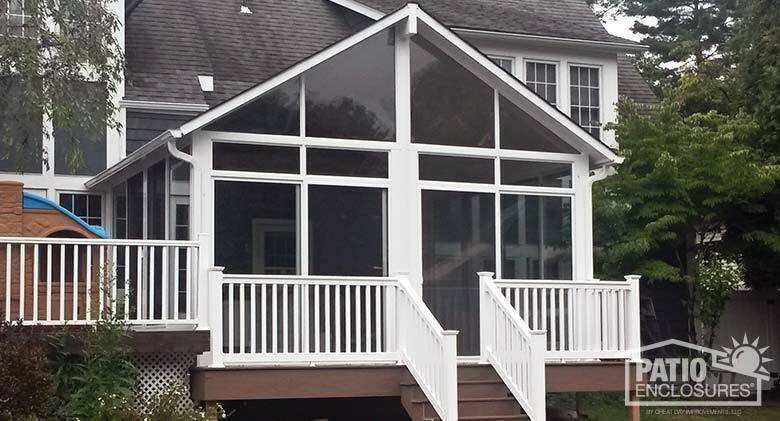 Three Season Sunroom Sandstone aluminum frame with custom wood gable roof. 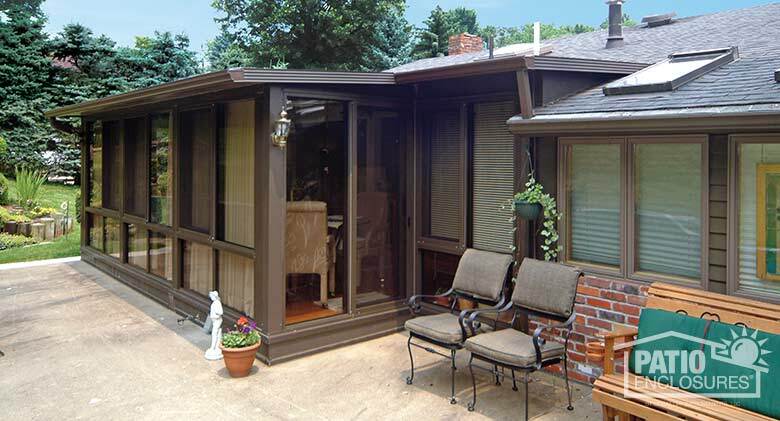 Straight Eave Solarium Bronze with single-slope roof exterior. 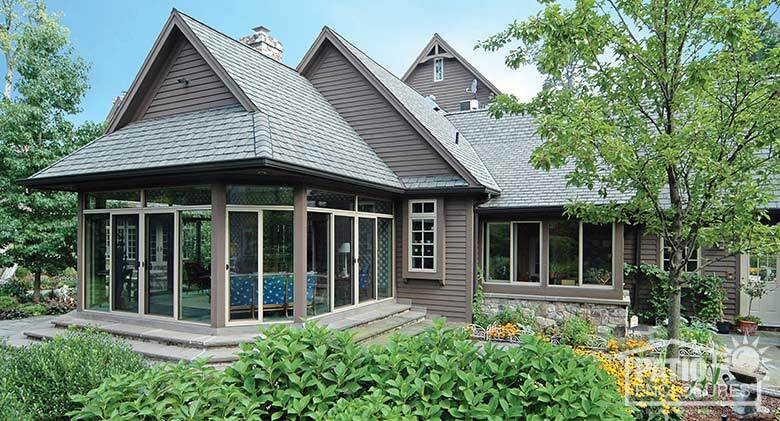 Straight Eave Solarium Bronze with gable glass roof exterior. 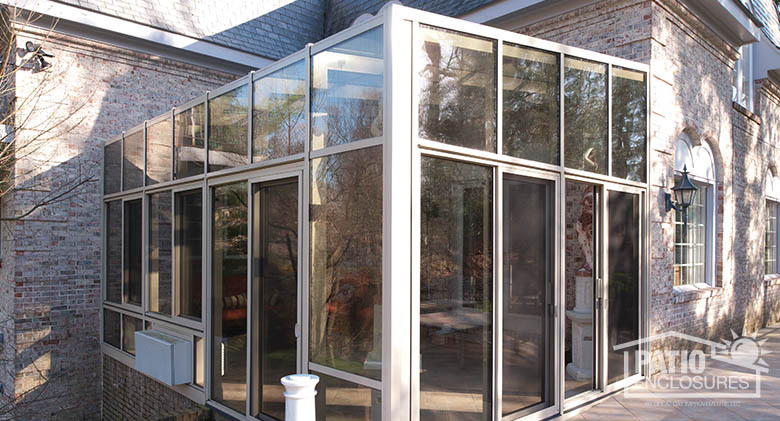 Straight Eave Solarium Sandstone with single slope glass roof. 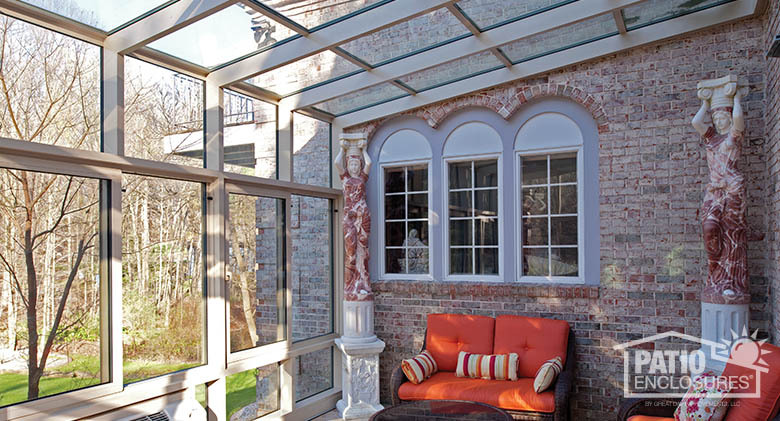 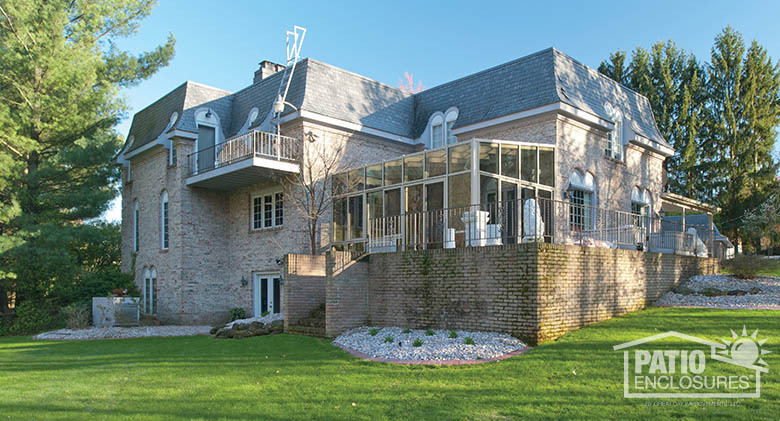 Straight Eave Solarium Sandstone with single slope glass roof (exterior). 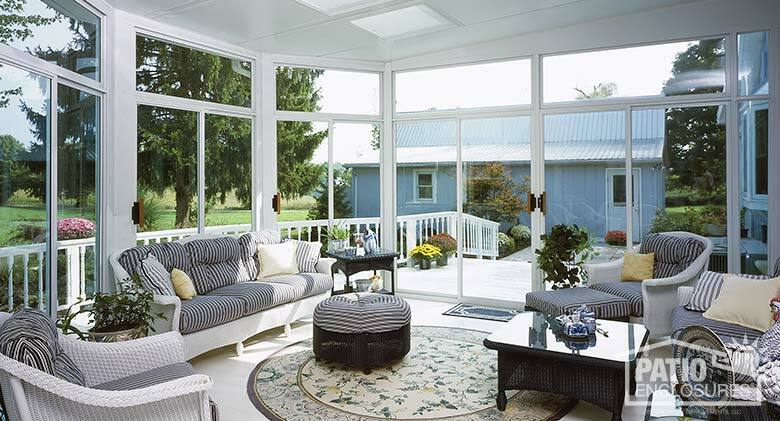 Straight Eave Solarium White with gabled glass roof. 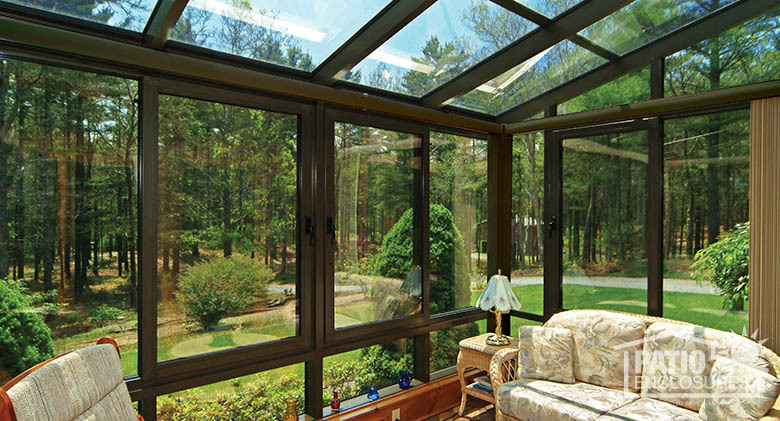 Straight Eave Solarium Bronze with single-slope glass roof. 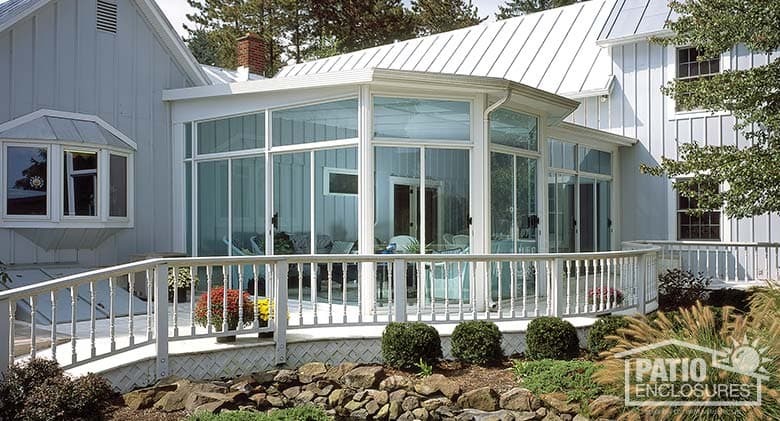 Straight Eave Solarium White aluminum frame with extreme pitch single-slope glass roof.